The first episode's story starts with Ai practicing on the gondola with Akari. As they travel through a canal, they meet Aika and Alice. All three have not had much time to meet since becoming Prima undines. Considering even the little time they spend together a "miracle," Akari remembers a certain incident and relates it to Ai. 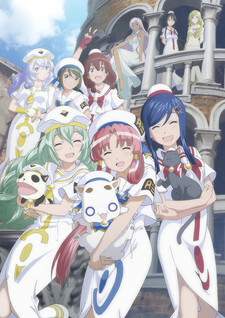 The second episode's story begins with Ai relating a story to Akari of her experiencing a "miracle" while she was practicing. She saw Cait Sith as she was traveling down an unfamiliar path. When she disembarks from her gondola to follow it, she meets two Single undines from Himeya company and Orange Planet in the middle of practice.